We use photos to capture the world around us, from people and events to the small details other people miss completely. In fact, daguerreotypes—an early photographic process that was, for a while, the most popular—had mats and frames built in. Because each daguerreotype was an inflexible and delicate silvered copper plate, they needed to be protected; they were typically presented within a type of case, with a mat that separated the plate from a protective layer of glass. Today, so much of our art is shared online—with friends and family, with customers and clients, or as a way to connect with a community. Digital frames are an easy way to add polish and a bit of extra flair before you put your photos out into the world. Try to match the frame you choose with the style of the image. A frame is an integral part of how an image makes us feel: It can enhance a photo, but it shouldn’t compete with it. That said, art is open to interpretation and frames are no exception. There are plenty of best practices and even more opinions. For example, when you read about framing in general, a common approach is that the art alone should determine the frame—but there are plenty of people who like to match the frame to their decor. Digital frames give you a sandbox where you can easily experiment. Would that family photo look best with an ornate, gilt frame or a simple black border? What about adding a coloured mat, or stacking multiple frames to create a unique and layered look? Whatever your approach, don’t be afraid to test different ideas! “Undo” is just a click away. There are many different picture frame styles that will each impact your photo in a different way. Ornate and decorative frames, which can add character and drama to a photo. Rustic frames, which can give a photo a relaxed or shabby-chic vibe. 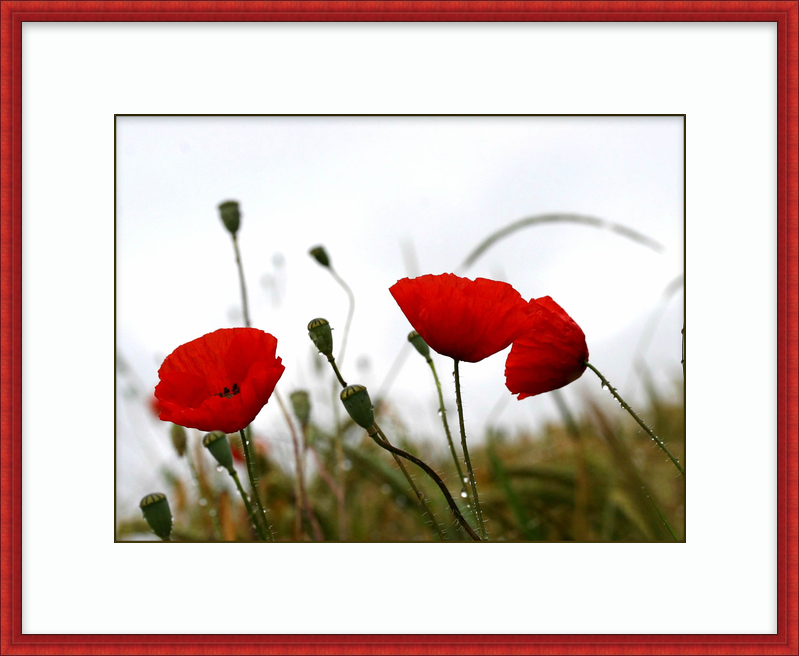 Simple frames, in either a solid neutral colour or metal, which add polish to photos without drawing attention. Patterned frames, in a solid colour or multiple colours, which can complement your photos and add interesting texture. Working with digital also gives you access to filters and masks, which can overlay your image with bold or subtle effects—such as adding a lattice pattern, or adding an edge that looks like creeping frost. Choose a frame with the mat you want to use either in mind or already added to your image. Changing one or the other can dramatically change the impression your photo makes, and you don’t want your frame selection to inadvertently distract people. A serious photo, such as a portrait, likely doesn’t need a brightly coloured frame; a dark and simple frame could be the ideal complement. Black-and-white photos typically pair well with grey or white frames; a black frame can make an image look dark and gloomy. 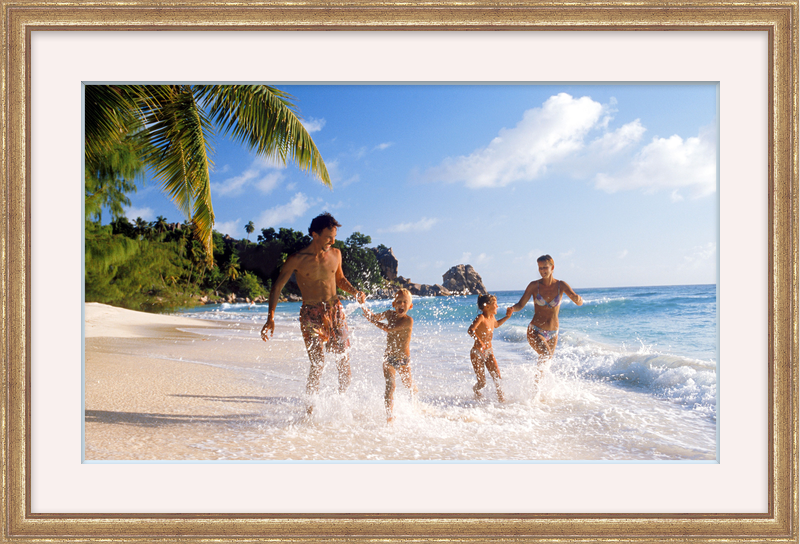 If your photo has a lot of brown tones, try a frame in chocolate brown, beige, gold, or natural wood. A coloured photo can look stunning in a matching frame. For example, if the photo has bold red details, a thin bold red frame—with a thick white border—might be the perfect way to make those colours pop. Silver frames can be optimal for photos with blue and light grey tones. If you’re framing a vintage photo, try to find a frame that’s in the same style and colouras frames that were typical for that time. Pro tip: Be careful with grey frames. They can inadvertently make a photo look boring or unremarkable. A well-chosen frame can help emphasize a photo and capture a mood for people who look at it—but it typically works best when combined with a great mat!